o longer undiscovered gems of French wine, the top vineyards of the Rhône are producing increasingly widely distributed wines of world class. The established and increasing number of Rhône super-cuvées are now some of the most exciting as well as expensive wines in the world. However, there remains a vast sea of simple, sometimes disappointingly poor wine at the bottom end of the market. 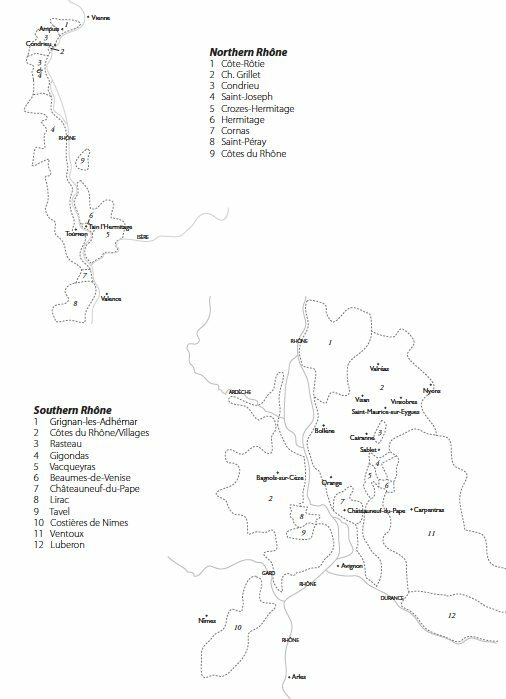 Two-thirds of all wine made throughout the Rhône Valley is generic AC Côtes du Rhône, although the region is improving fast and smart and slick generic marketing is being allied to generally higher quality standards. It is worth seeking out the ever-increasing number of young growers, mainly in the south, who are endeavouring to produce wines of quality and style at still very fair prices, rather than selling to the co-ops or large négociants.